Osoyoo Wifi Shield for Arduino is Wifi device which allows Arduino compatible boards(UNO,MEGA2560,Leonardo etc) to connect to Wifi network and become a node of Internet of Things(IoT). Work as an IoT client and send data to remote web server by HTTP protocol. Work as as a Web Server which allows other clients(browser or mobile APP etc) to get data from Arduino or send control command to Arduino through HTTP. Work as MQTT client which allows Arduino to Publish data to remote MQTT broker. In this lesson, we will tell you how to make Arduino+Osoyoo Wifi shield working as a web server(Role 2). 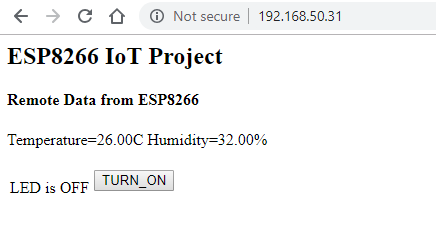 After you connect the hardware and install software in this lesson, you can use web browser to get Temperature/humidity data from a remote DHT11 sensor and to turn on/off a remote LED which is connected to Arduino . 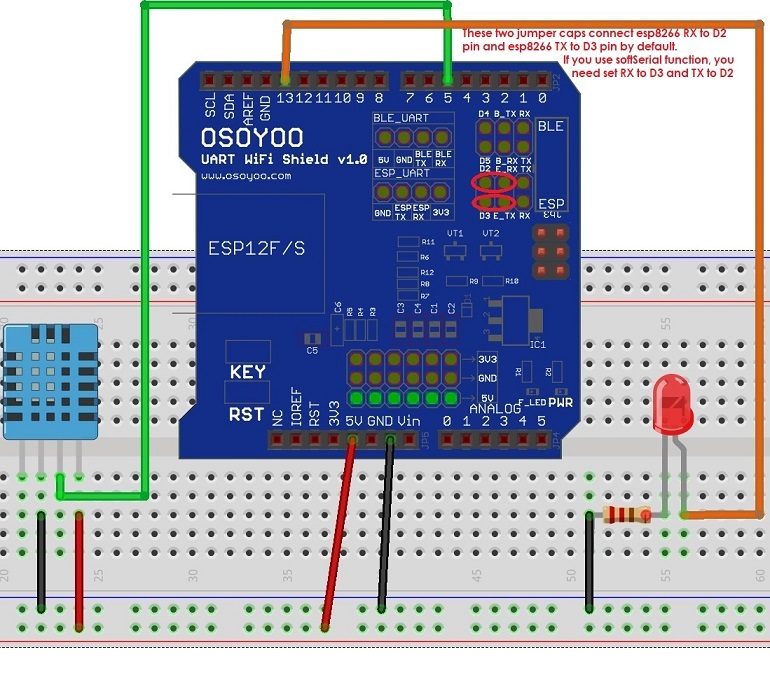 The Osoyoo Wifi Shield connects ESP8266 TX/RX pin to Arduino D3/D2 pin by default. So in Arduino sketch code, we need use Software Serial Port to communicate with ESP8266 (set D3 as RX and D2 as TX in softwareserial object). You need go to Arduino IDE ->Sketch ->Include Library ->Add ,Zip library to load above zip files into Arduino IDE. Then load the sketch into Arduino. 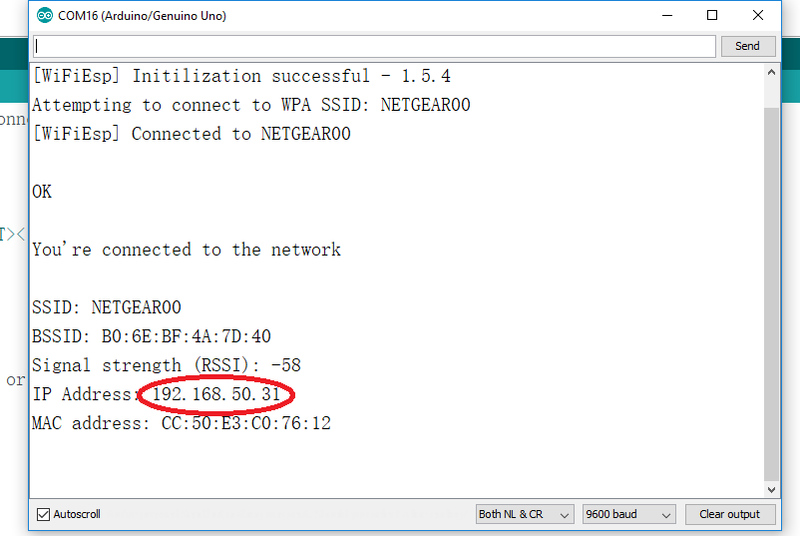 Remember to change line 28/29 and make the wifi_hotspot_ssid and wifi_password to match your wifi router setting. you can also type AT+CIFSR command in above window and click send to get ip address. You can see the temperature and humidity data has been sent by internet to your browser. You can click Turn On or Turn Off button to toggle LED . This means you can send control command to remote device.